Annnnnd the Phoenix oven is now fully pre-heated! 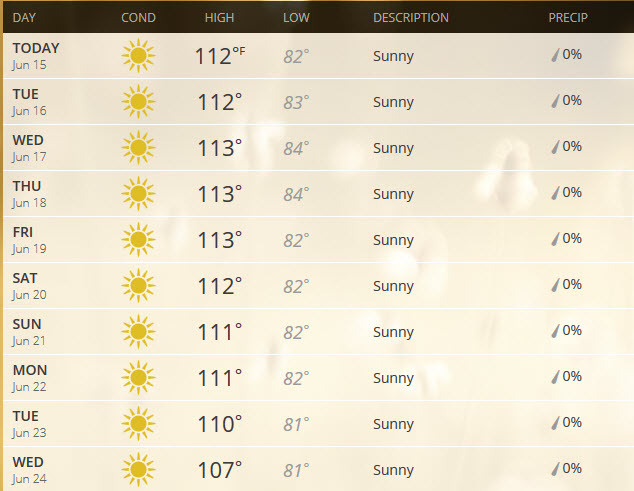 Just looking at the 10-day forecast makes me break a sweat. There’s only one logical solution: Get out of town. And that’s exactly what I did this past weekend, along with 3 other friends. 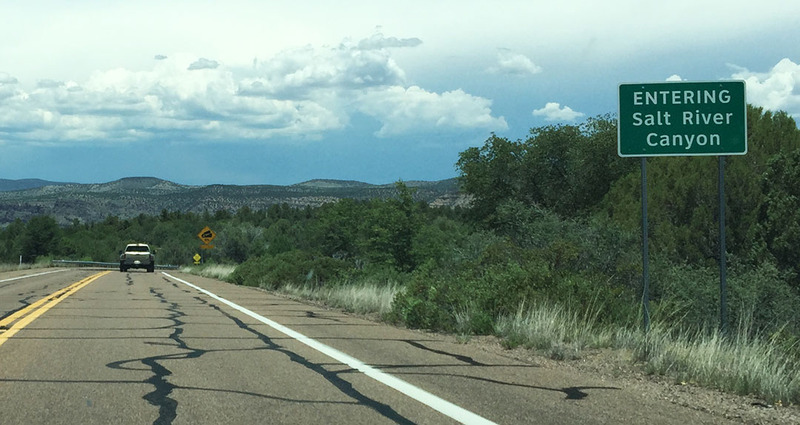 The destination of choice this time was the White Mountains, a range in eastern Arizona near the border with New Mexico. 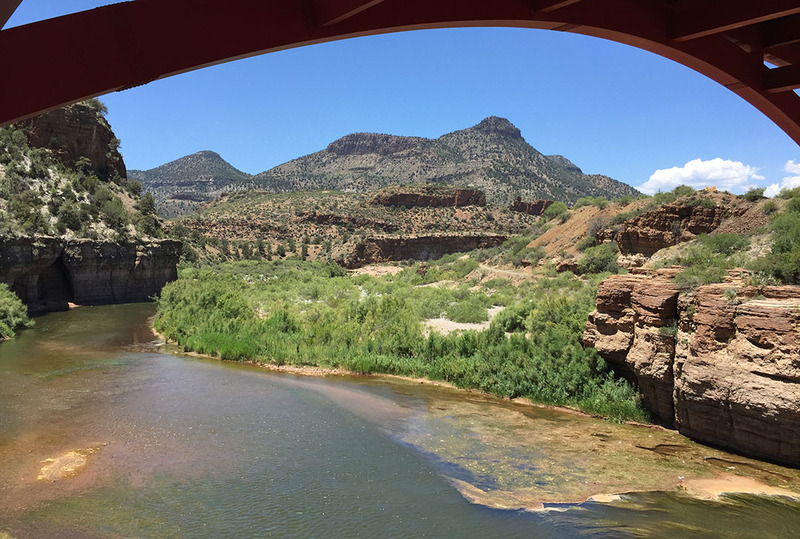 While Phoenix sits at a little over 1,000 feet in elevation, the town to which we’d be heading, Eagar, has an elevation of nearly 7,000 feet. And along with that added height comes a 10-day forecast that’s a lot less intimidating (think: High temps in the 80’s). 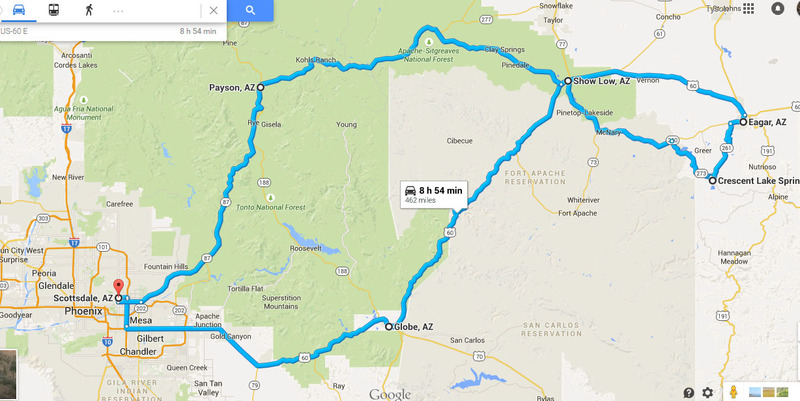 After grabbing a Red Bull and Moon Pie at the Chevron gas station in Globe, we played musical cars and I got to pilot Jason’s 2004 Mazda 6 for the next stretch. For being 11 years old and having 164,000 miles on the clock, the 5-speed Mazda was a solid ride. Jason recently upgraded to an all-leather interior. Bradley and I couldn’t figure out how to pair his audio system to our iPhones, but it didn’t matter because Jason had Linkin Park in the 6-disc changer to keep us company. 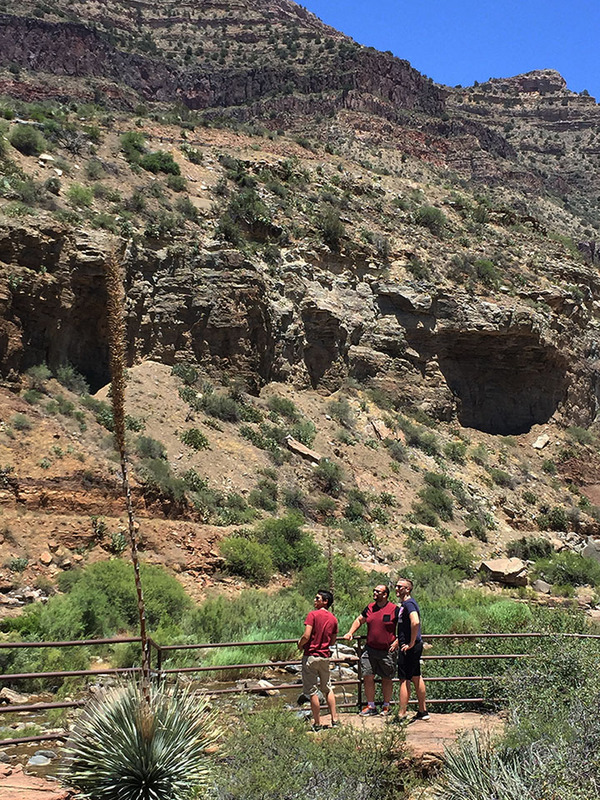 We pit stopped at the base of the Salt River Canyon which I’ve blogged about a number of times before. 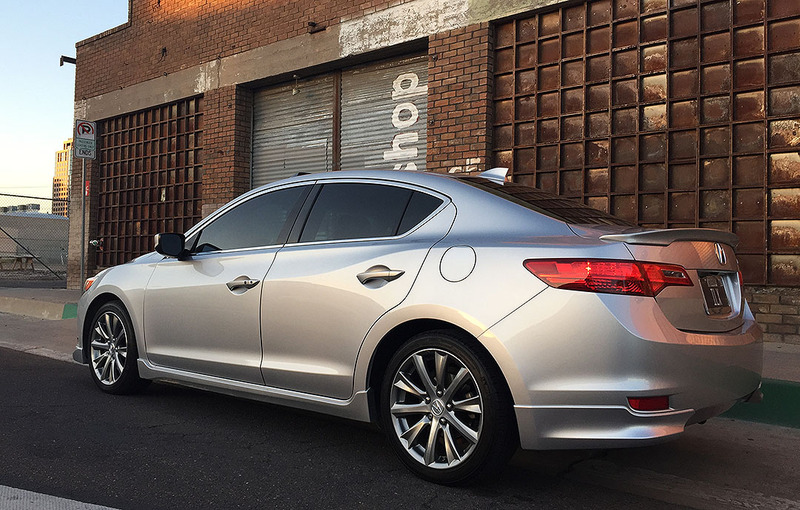 (Acura TLX Review, Christmas Day trip to name a couple). From the river level, there are two massive bridges passing overhead. We climbed back up to the parking lot (got my cardio in for the day) and did another car swap. 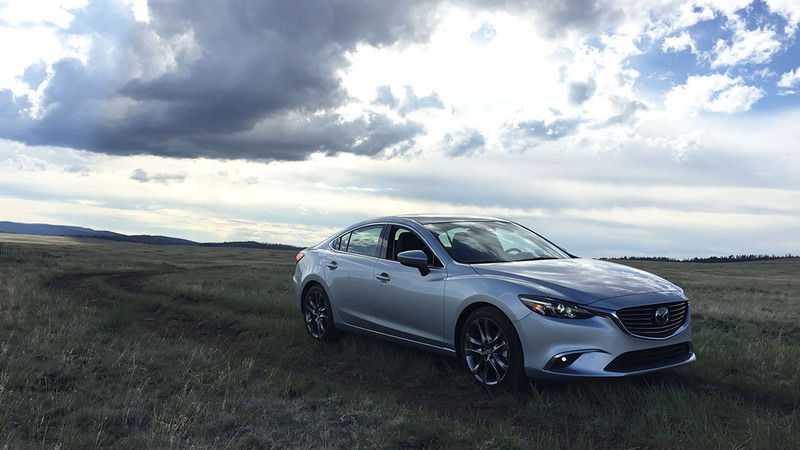 This time, I got to take control of the Mazda 6. Ringing in at a pricetag in the low $30’s, I must say the new 6 offers great bang for the buck. The styling is attractive from any angle. Projector headlamps and foglamps offer supreme nighttime visibility. The leather stitched pieces on the dashboard exude a premium feel. 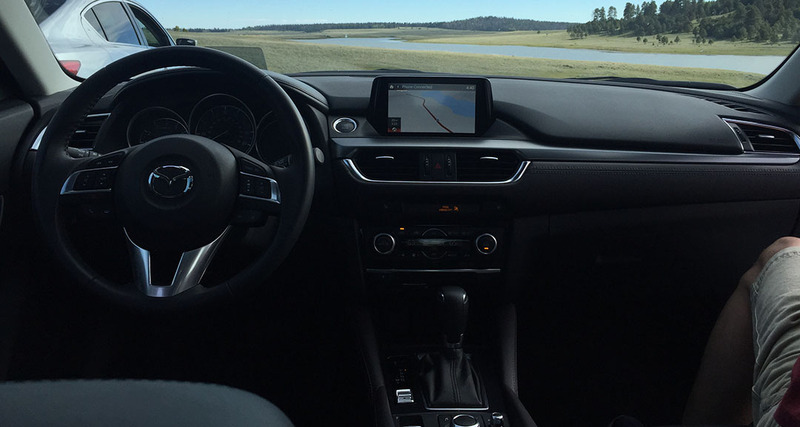 And the car comes up with a head-up display – all of which are class-leading amenities for a vehicle in this segment. From a performance perspective, the 2.5 liter needed to be coaxed a bit on the grades, and the transmission seemed slow to shift when prompted, even with the paddle shifters. Even so, the car scoots – and even with a 36-horsepower deficit compared to its older sibling, we found out that acceleration time is pretty on par: Mazda is delivering V6 power with 4-cylinder fuel economy. 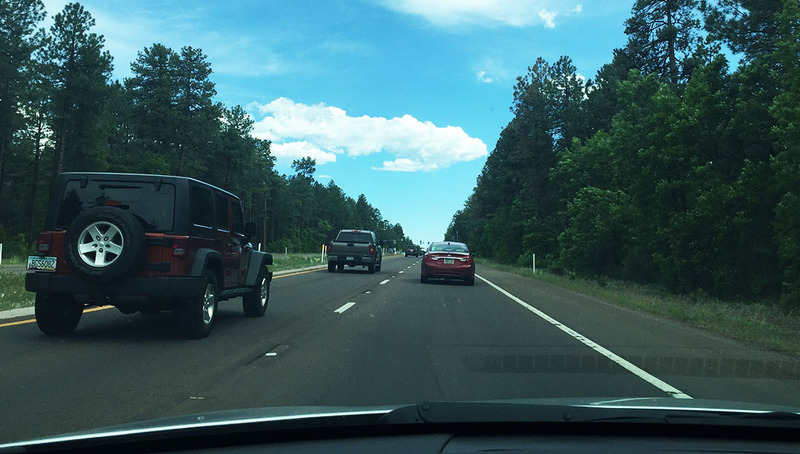 We had lunch in Show Low at Licano’s and then headed out toward the small towns of Pinetop & Lakeside. 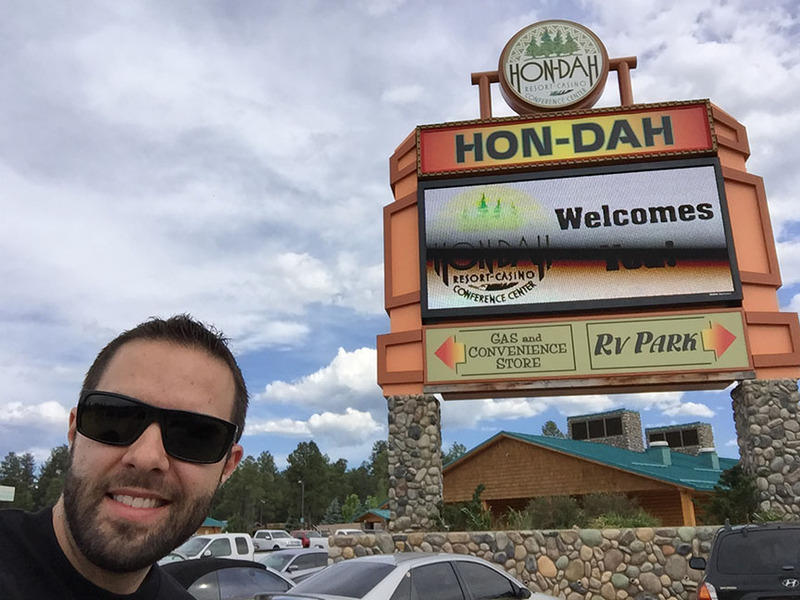 There’s a special place I needed to see at the intersection of Highways 260 & 73: Hon-Dah casino. 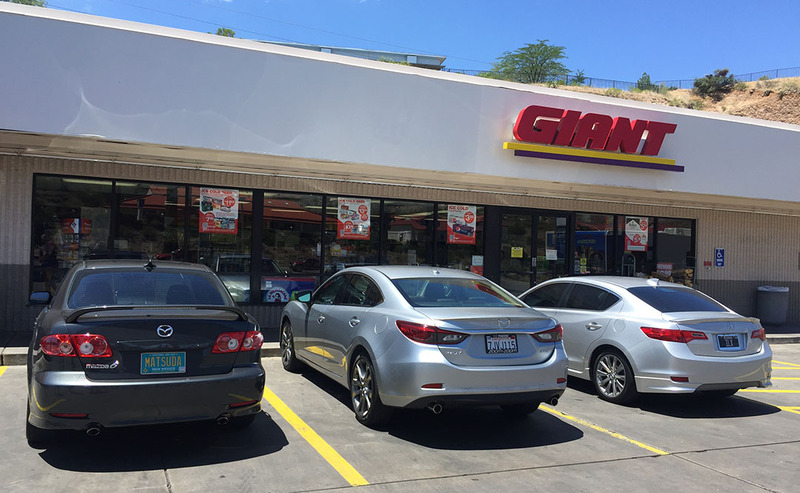 Oh yes – of course we stopped in to check the place out. Jason tried his had at the 25 cent slot machines and scored a $15 gain after James had lost $20 in a matter if minutes. Ha! 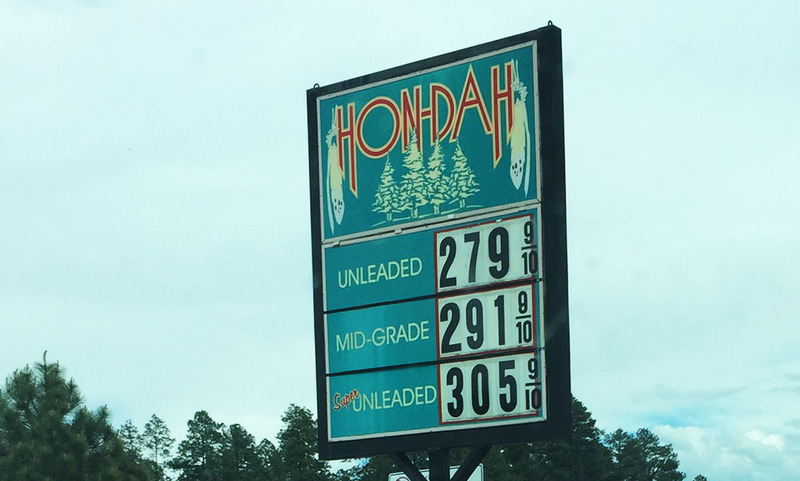 I don’t know why it’s called the Hon-Dah casino but maybe the folks on the White Mountain Indian Reservation are Honda fans. A jog southward on Highway 273 took us past the Sunrise Ski Resort (which had closed for the day just minutes prior, or we probably would have taken a chair lift ride to the summit) and then through some scenic, rolling, grassy hills. It took about 20 minutes until we met the intersection with Highway 261 near Crescent Lake. There was so little traffic out there. I made the comment at one point, “If I worked in car advertising and ever needed to shut down a road for filming, this would be the one.” Highway 261 was full of all the right curves in all the right places. I captured 9 minutes of GoPro footage where you can see just how isolated, yet fun, this road can be. Want to drive that 9-minute distance with me in only 34 seconds? Here you go. 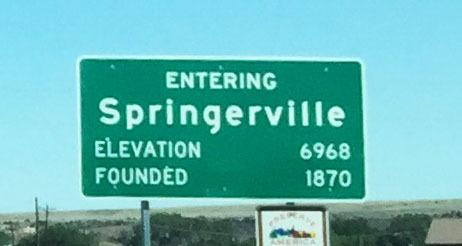 Eagar and its neighboring town, Springerville, comprise what the locals refer to as “Round Valley.” The population of the two cities combined is fewer than 7,000 people and there are only two stoplights. It’s a neat town and the people are friendly. When we told the front desk agent at Best Western that we wanted to go see a movie, she said, “Make sure you see Gloria. She’s the owner and she’ll take good care of you.” Now that’s hometown hospitality! 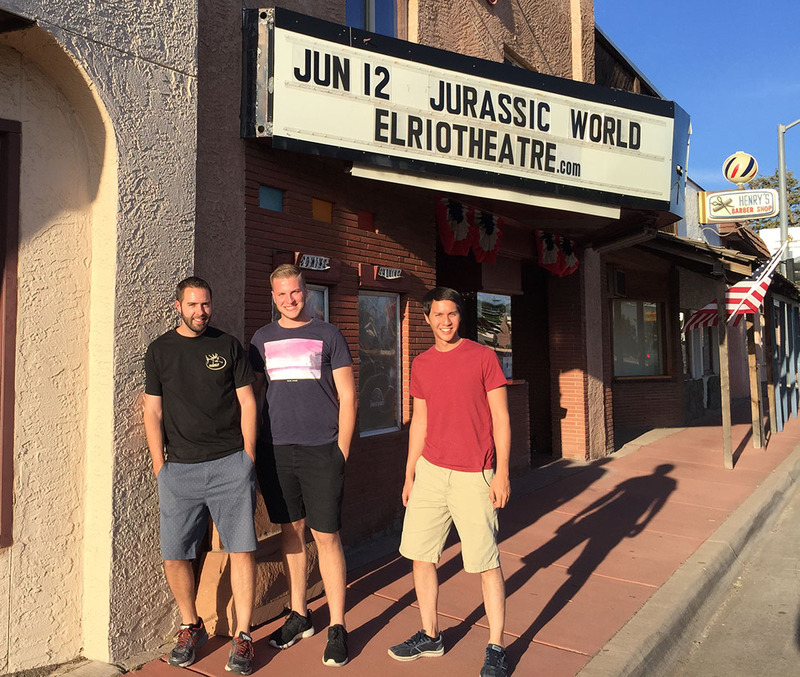 We did decide to catch a new release at an old theater. 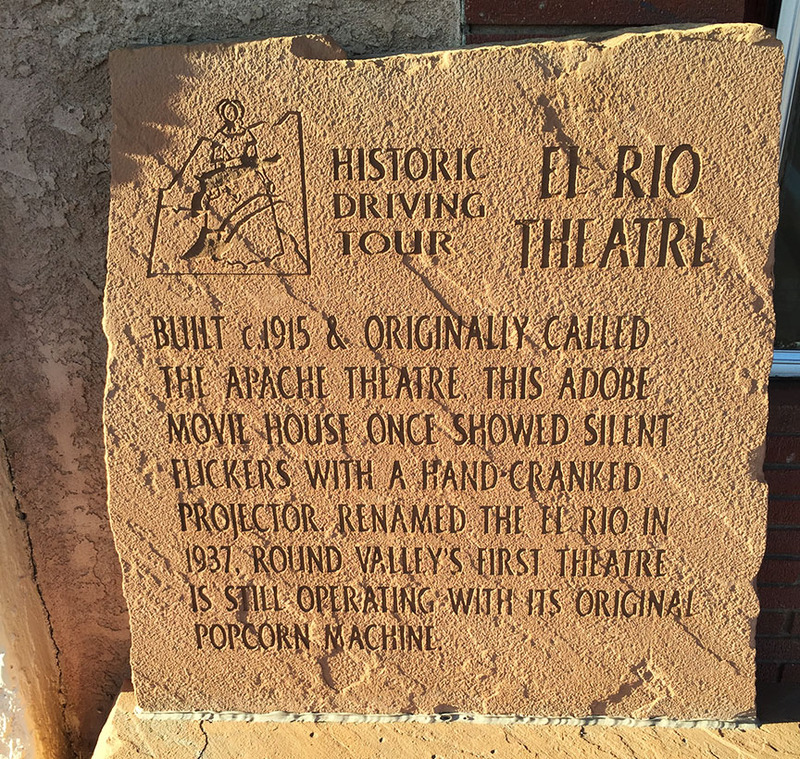 The El Rio theater, formerly known as the Apache theater, opened in 1915. 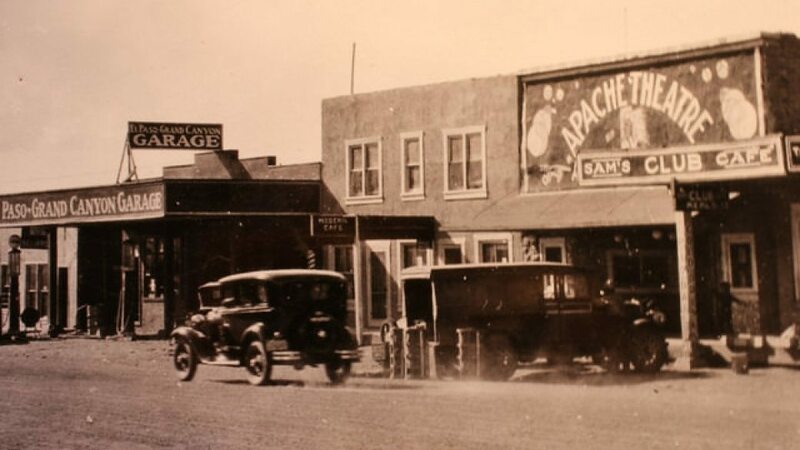 Even after 100 years, the place was well-kept and had a great vibe to it! 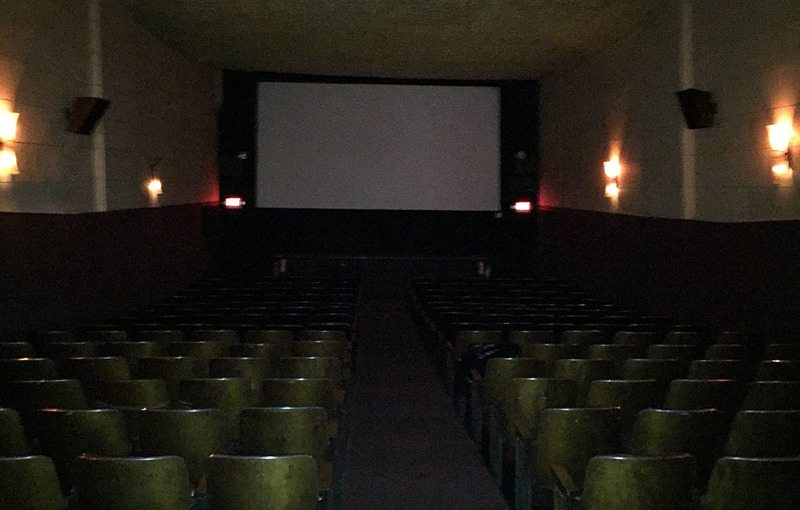 Last year, the theater was converted from 35mm film to digital projection after the community raised enough money to keep the theater in business. Movie tickets were $6 concessions were dirt cheap too! $5 for a soda and a large popcorn. I could get used to prices like that. Oh, and the movie? Jurassic World. Highly recommended. 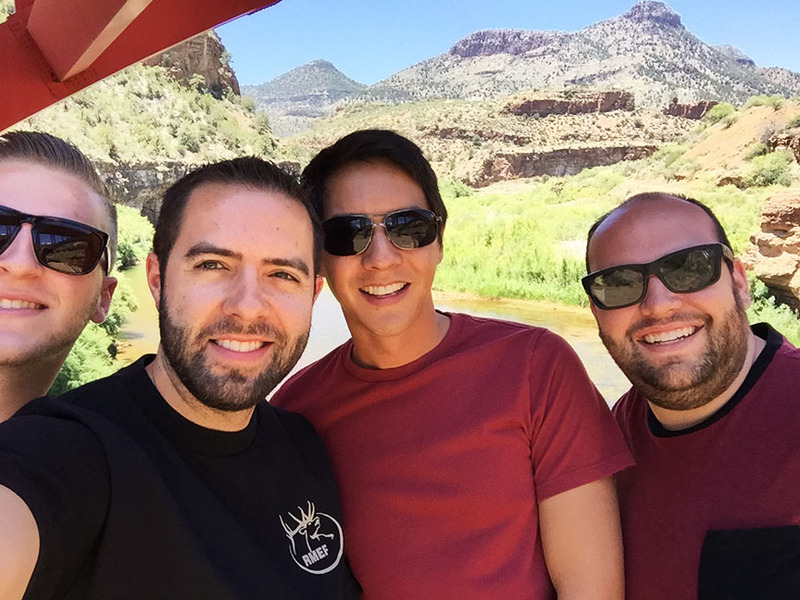 I had a great time enjoying a drive in the hills with a few friends and hope you did too. Here are a few pics. Anybody want some “Hon-Dah” brand fuel? Just $3.05 for premium! Oddly enough, we saw a 1985 Ford Tempo in the parking lot of our hotel with a Deer Lodge, Montana sticker on it. 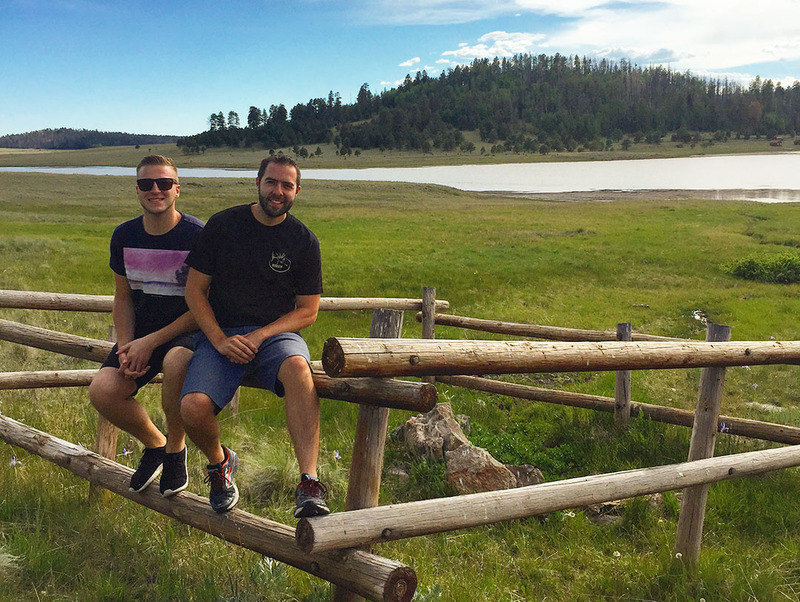 I was just in Deer Lodge a week ago! 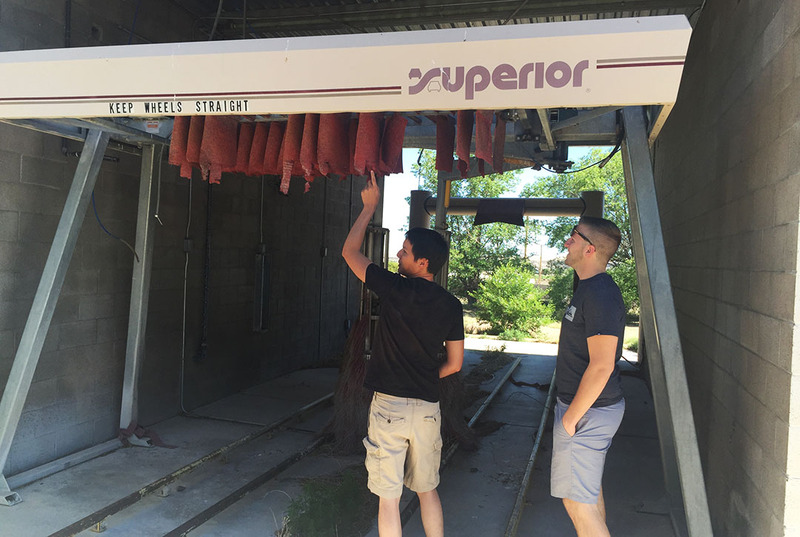 Sunday morning: Checking out an abandoned 4-bay car wash facility. Vacuum cleaners probably haven’t been turned on since 2010, which was the most recent inspection date on a sticker I found. Lined up in the wash bays. The Mazdas going head to head for a picture. 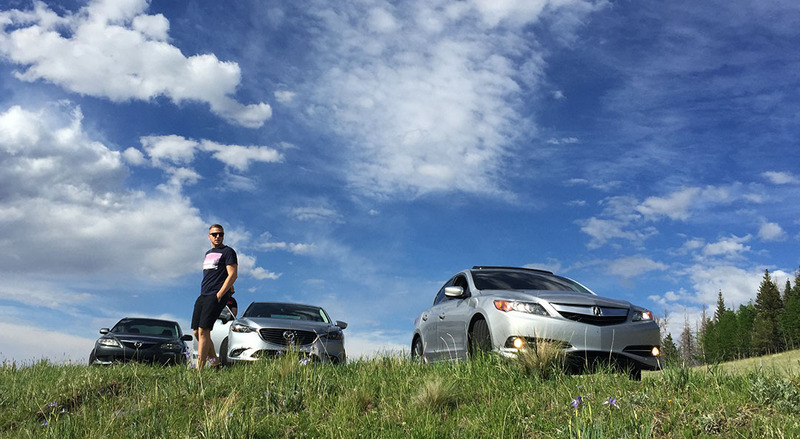 Last Friday, June 12th was the 3-year anniversary of my ILX ownership. The car had 16 miles on it when I took delivery in June 2012. 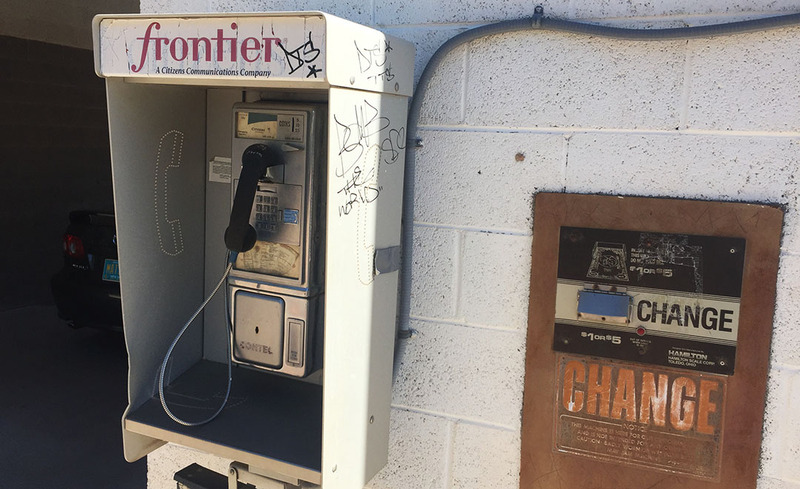 I caught a few pictures in central Phoenix last week just for fun. It’s been a fun ride! Time has surely flown by. 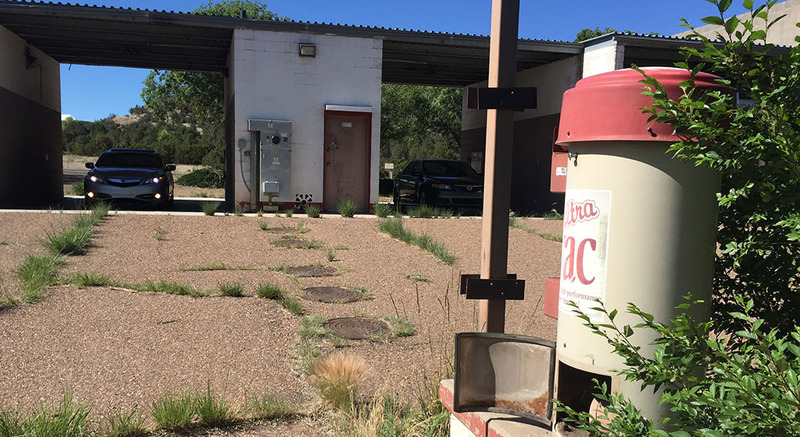 This entry was posted on June 15, 2015 at 6:26 pm and is filed under Arizona, ILX, Road Trip. You can follow any responses to this entry through the RSS 2.0 feed. You can leave a response, or trackback from your own site. Good stuff! 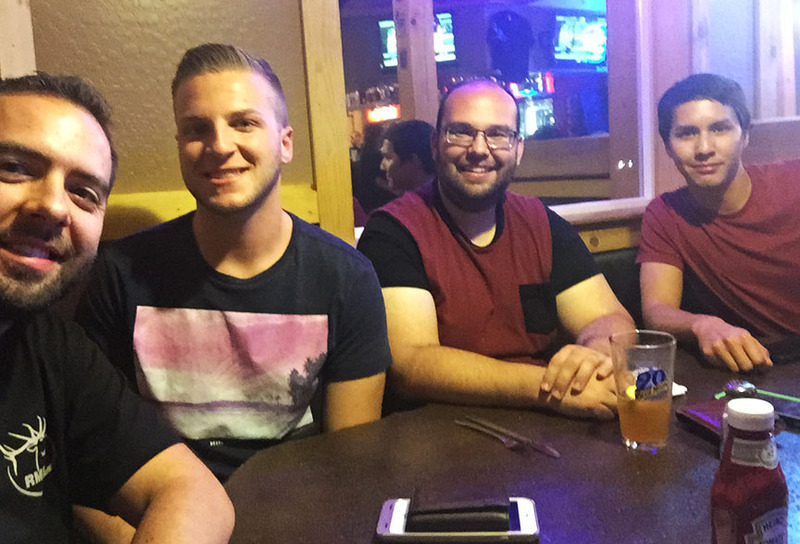 Thanks for having me along for the ride! Love the Bonanza theme song! Haha, I know! I did something like 16x on the speed of the video, and the length of that particular song was somehow perfect to fit without even having to crop anything. Score. That makes sense because the road seemed fresh, traffic was light, and I didn’t remember seeing it before in some of my mapping years ago. It’s a great road. The next one I want to hit up is 73 through Whiteriver. Think there’s anything to see/do there? 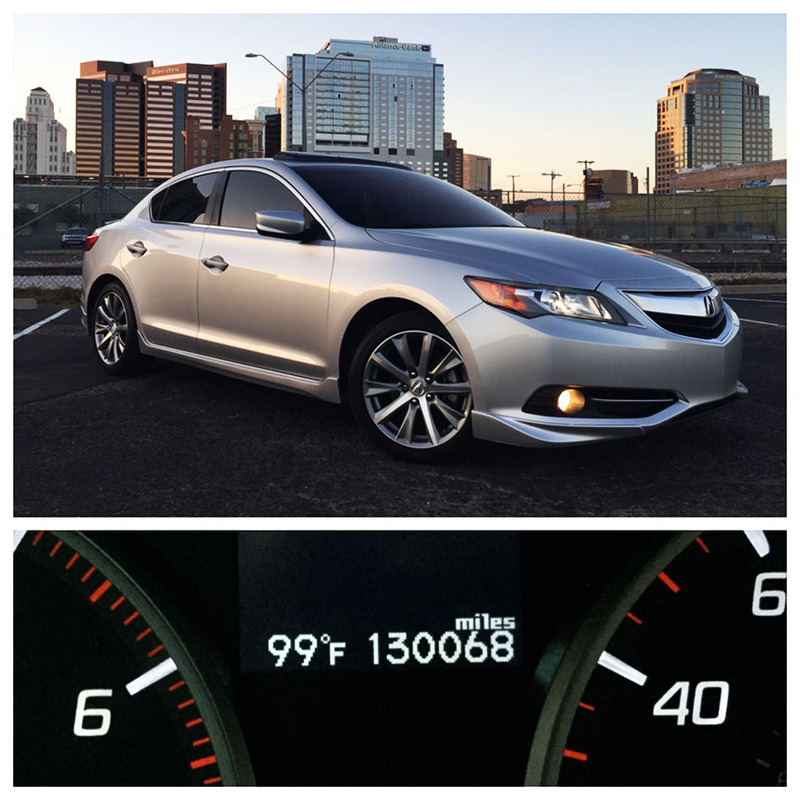 Congrats Tyson that you got hit 130,000 miles on your ILX! 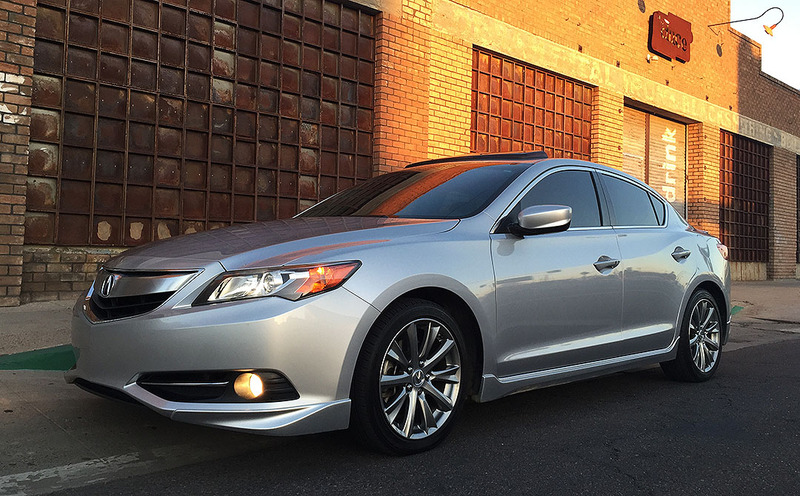 I can’t believe you drove your ILX a lot! Wow 3 years already! 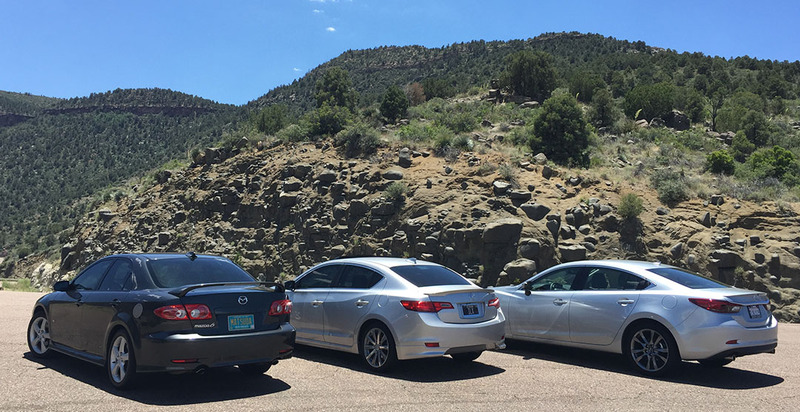 How many states are you driving in your ILX? looks like another great adventure!! Red Bull and a moon pie? That wouldn’t be my mix of choice! Mmmm, so much sugar! Haha, I really should do a better job of finding healthy road trip eats.